Here are some shots from Friday, July 1, the final day of the 44th annual NAFCU Conference & Exhibition at the Moscone West Convention Center. 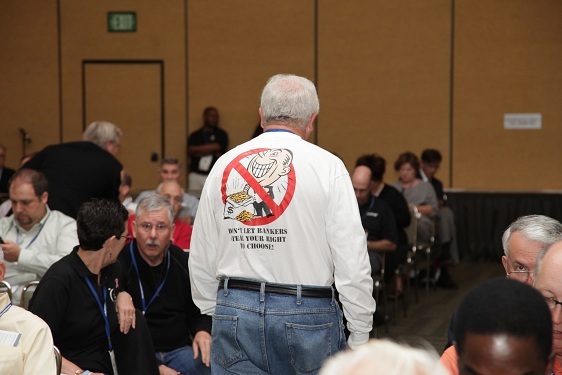 The T-shirt on this gentleman’s back expressed an opinion about banks perhaps shared by many at the annual credit union conference. 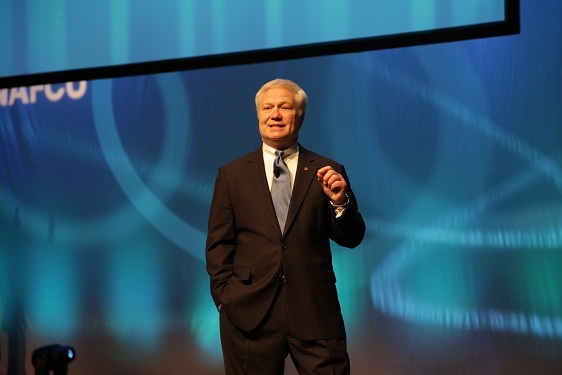 NAFCU President/CEO Fred Becker makes a point during his address on the last day of the NAFCU annual conference.